Long before Willys-Overland Motors became synonymous with the US Army Jeep, it produced a line of passenger cars from its Toledo, OH production facility. 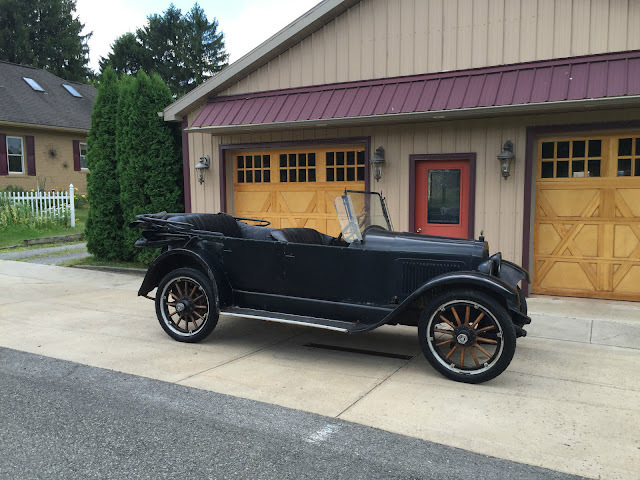 The Willys-Knight was built in 2-door and 4-door configurations with various 4, 6, and 8 cylinder sleeve-valve engines from 1915 through 1933. Find this 1922 Willys Knight Model 20 A Touring Convertible here on eBay bidding for $5,100 reserve-not-met with less than one day to go, located in Prospect, PA. 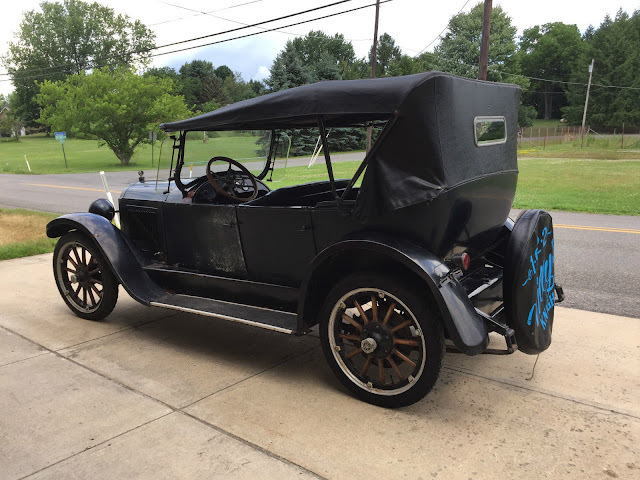 This is an interesting car, somewhere between a daily driver and a barn find -- the seller claims to have changed gas, spark plug wires, coil, points, battery and she fired right up. Of course, the carb needs adjustment, but this looks to be a cheap way to get into something with distributor advance on the steering wheel...which needs to be fixed. Actually, the number of similarities between this an a modern JK Wrangler Unlimited is remarkable, from the four door soft top to the choppy ride to the branded spare tire cover. Not much has changed, I suppose.